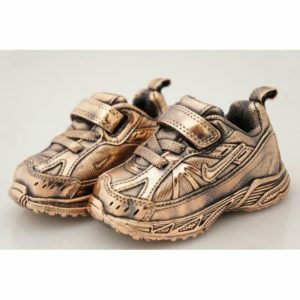 Patty-Cakes baby keepsakes will help you remember this moment in time forever – it’s what we’re famous for! 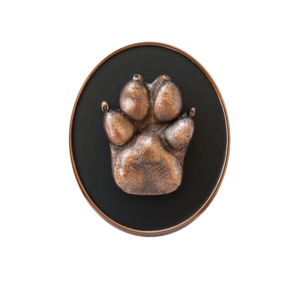 With Patty-Paws, you can honor them in life and remember them once they pass over the rainbow bridge. 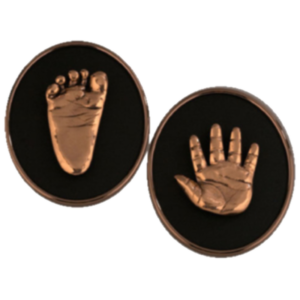 Nothing is more personal or special than an heirloom-inspired, handcrafted Patty-Cakes keepsake. 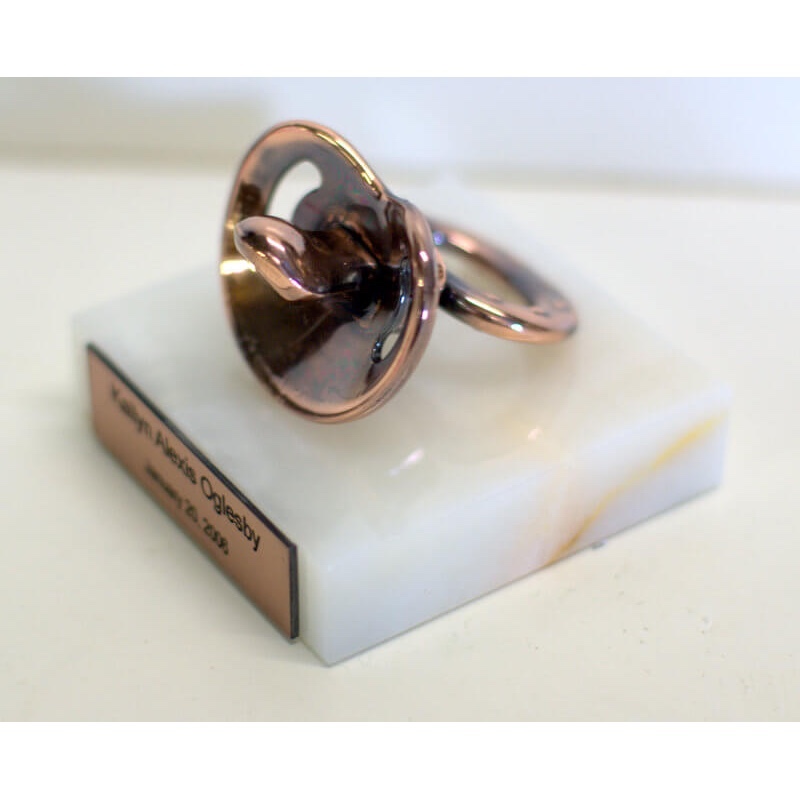 There has never been a sweeter way to remember your baby and his or her favorite “binky” than by bronzing it for eternity. 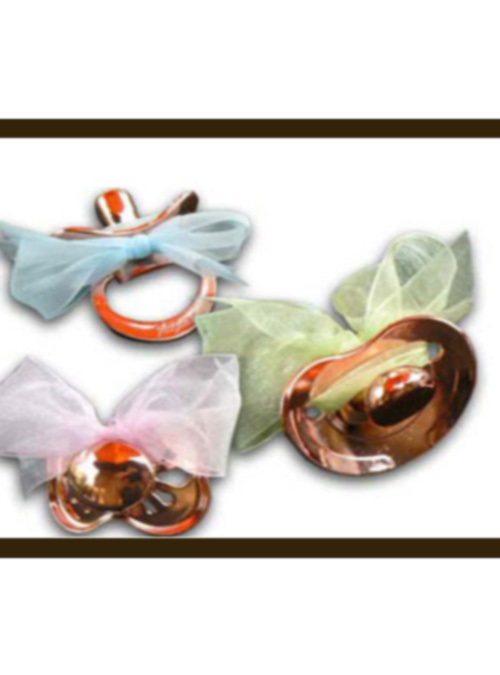 Bronzed pacifiers make awesome gifts for friends and loved ones and come tied with a bow in your choice of color. 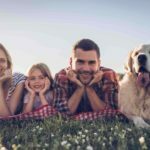 Make it a family tradition and pass them on to your children as they marry and have children of their own. If you have any questions, call us at 855-STL-PATTY or fill in the form below under Get Started and either Linda or Karen will get back to you very soon. Patty-Cakes Pacifiers make great ornaments and can be hung or displayed on a table or desk at home or at the office as a loving memento of your precious child or grandchild. 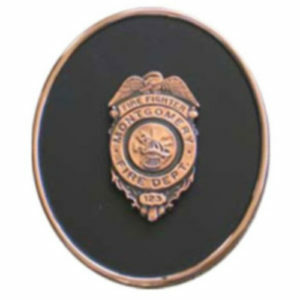 If you choose the name tag, included is a standard custom engraved that includes your baby’s name and birthdate. We can inscribe 2 lines with a maximum 25 characters per line. 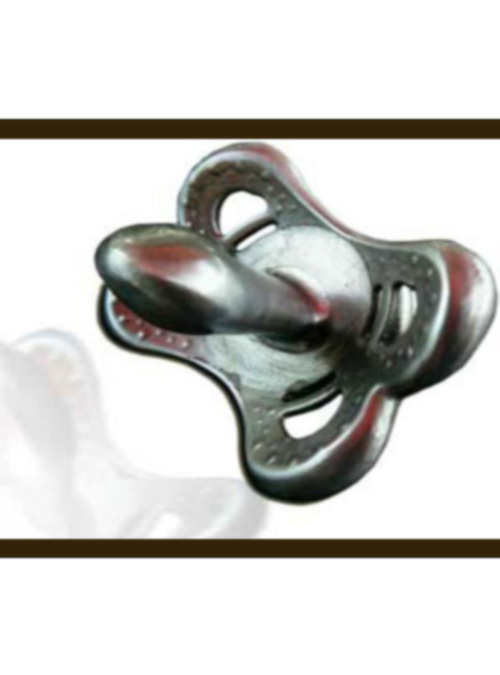 If you’re interested in ordering a Patty-Cakes pacifier please contact us today. We will set an appointment to come to your home to pick up your baby’s or babies’ pacifiers and show you a sample so you can see for yourself how beautiful your keepsake will be. Please allow 12 weeks for delivery. Each Patty-Cakes is meticulously hand-crafted so no detail is missed and you end up with a perfect replica to last a lifetime. All Patty-Cakes have a lifetime guarantee against breaking, flaking, cracking. Tarnish is not covered by our lifetime guarantee. 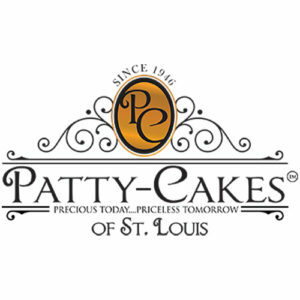 If you’re interested in a Patty-Cakes product, please contact us using the form below or call 855-STL-PATTY. I am interested in Pacifiers. 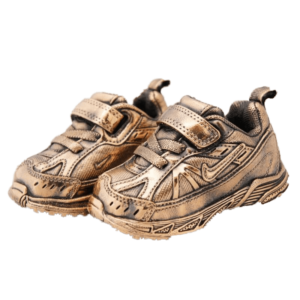 When it comes to family gift ideas – from hand and footprint bronzing to badge bronzing and holiday ornaments – nothing is more personal or special than an heirloom-inspired, handcrafted Patty-Cakes bronzed keepsake. Sign up to get the newsletter! Copyright © 2019 · All content owned by Patty Cakes of St. Louis. Sitemap.